Hassle-free daily chores. Who knew? How can we help our children develop their self-esteem? Let’s help them learn the value of contributing to the success of the family and watch how they become responsible and connected. DoughMain’s Chore Tracker, paired with its Allowance Tools, takes away the nagging and tension of managing chores, and gives parents and kids an easy, customizable way to work together to schedule, track completion and give out rewards. Parents can assign chores and rewards from our pre-set menus or create their own for each child. Rewards are individualized and can be changed at any time. Both you and your child can use the household manager remotely on smartphones, tablets and mobile devices. 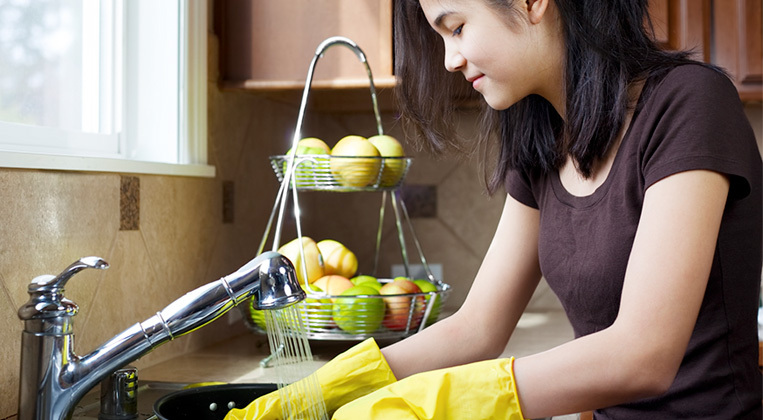 Kids can track their own chores, see their rewards, and be responsible for completing tasks and reporting. Everyone is connected throughout the process and have the joint satisfaction of sharing a job well done.